Today is the time of year when I write a blog post about my cousin Andy. Let me just say it is almost impossible to explain her in words. I’ll do my best. Ever since I met her, (which was a very long time ago) she was one of the bravest people I’ve ever known. She’s funny, smart, nice, and a million other qualities that everyone wishes they had. And they all fit Andy perfectly. Right before Andy turned six, she found out she had something called type 1 diabetes. Ever since then, nothing has changed. Andy is the same person, and hasn’t and won’t ever let it get the better of her. Throughout the day, she needs to get her blood tested, which is a finger prick. She also has two permanently attached devices that help monitor and fix her blood sugar. 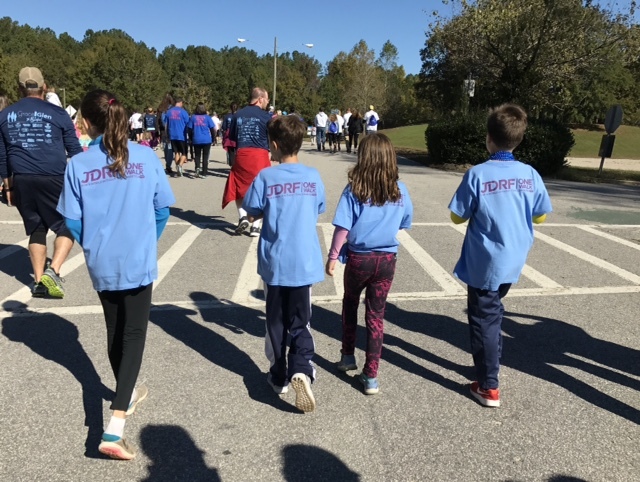 Every year, we go on something called the JDRF One Walk. 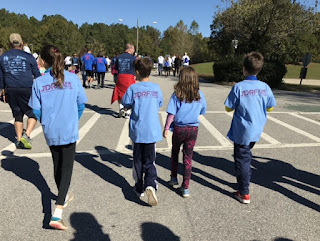 What it does is raise money to cure type 1 diabetes. We went on it yesterday. It’s one of my favorite things to do with her. I have never seen Andy back down from a challenge. And going through life is the biggest challenge of all. Yet she faces it with a head-on approach! I know I have trouble doing that sometimes. Every time I see Andy, she has this smile on her face like her head is full of ideas and happy thoughts. No doubt that’s true. But that smile, that grin she wears on her face, keeps me going. We all have things that let us get through the challenge of life. Mine, is Andy. and my person, as I said, is Andy. To help raise money for the JDRF One Walk, my brothers and I are raffling off three free yearly memberships to apple seeds. One for each apple seeds location! To join the raffle, there will be donation jars at the front desk. Donate money and fill out your name and contact information and we’ll give you a call if you win!